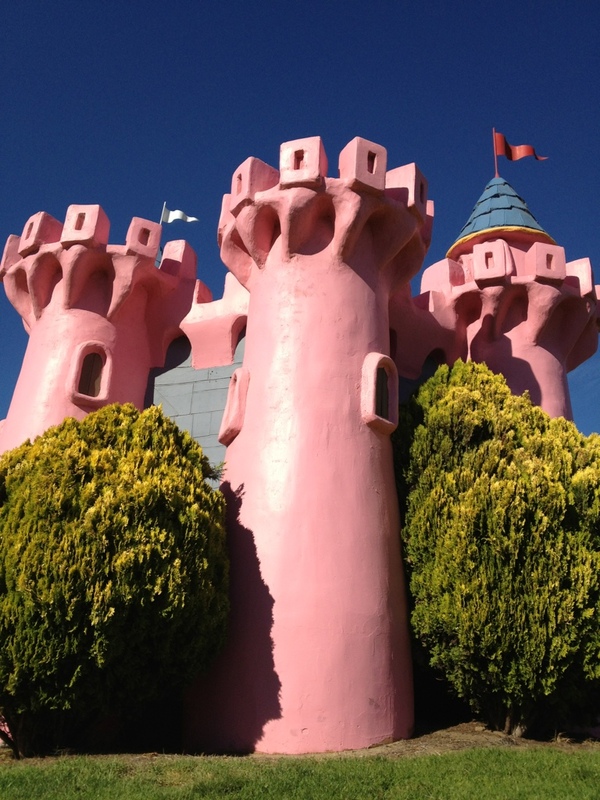 This pink castle is featured at Boomers miniature golf course in Santa Maria, CA. I liked the colors against the blue sky backdrop. Boomers arcade miniature golf course is a great cheap place to stop on your trip North or South on the 101 with the kids. Go-cart track, miniature golf course and video games. Don’t expect to eat lunch/dinner there though, but you can grab some snacks. A few miles South, there are some restaurants where the family can eat (including an Olive Garden). I took this picture with my iPhone 4S around 5PM.